You're writing a program to play a variety of BlackJack. In general, given two numbers, a and b, return their sum. If the sum is greater than 21, return 0, unless one of the numbers is 11. In such a case, the 11 should be 'converted' to a 1 to prevent the sum from being exceeded. For example, given a 11 and 13 as input, the 11 should be 'converted' into a 1 so the total sum will be 14. 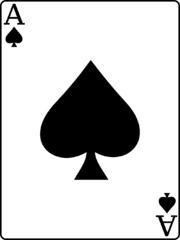 Return the sum of two blackjack 'cards', as above. I'm lost. My code is showing incorrect, but my results look correct. All my outputs match except for "Other Input/Other Output." It's really simple but not boring, great! if 11 is converted to 1, last correct output is wrong. @Borja, it is only converted to 1 if it will otherwise overshoot 21. Can't figure out how to convert the correct output to 13 and 14 with the correct code. Everything I tried does a compilation error. Lets say i have 11 and 11. then automaticly it wil return 12. but perhaps i am a weird player of somekind and i want it to be 2. In the casino i can choose this if i want, here i cant?